We are happy to announce that more than 600 abstracts were submitted to the European Congress of Medical Physics (ECMP2018) that will take place in Copenhagen, August 23-25, 2018. Due to the extended deadline for abstract submission, the date for abstract notification will be 18 April 2018. All accepted abstracts will be published in a supplement of EFOMP's journal, the European Journal of Medical Physics (EJMP), at the end of July/early August 2018 before the Congress.For the ECMP 2018, EJMP will publish a Focus Issue with up to 40 full papers selected from the conference contributions. The contributions will be selected by the Focus Issue's Guest Editors which will be nominated by EJMP's Editor-in-Chief. The final manuscripts will then undergo a full peer-review process. The Focus Issue will be published online on April 2019, with deadline for submission of papers on 31 December 2018. The papers of this Focus Issue will be free to download from the EJMP's journal website throughout 2019. Albania, Armenia, Belarus, Bosnia-Herzegovina, Bulgaria, Croatia, Czech Republic, Estonia, Greece, Hungary, Latvia, Lithuania, Macedonia, Moldova, Montenegro, Poland, Romania, Russia, Serbia, Slovakia and Ukraine. EFOMP will grant applicants for the European Diploma of Medical Physics (EDMP) & the European Attestation Certificate (EACMPE) registered in the ECMP2018 a 20% discount on the normal fee. Upcoming examinations will take place in Copenhagen, August 21 and 22, 2018 in all 3 subspecialties of Medical Physics (diagnostic and interventional radiology, nuclear medicine, radiation oncology). Deadline for applications May 31, 2018. Information about eligibility criteria and fees can be found at EFOMP webpage. A section has been recently created with sample files that contain examples of the type of questions EEB applicants may come across in EACMPE and EDMP exams. Register for the European school for Medical Physics Experts, EFOMP/EURAMET premeetings and the Summer school, August 22, 2018 The ECMP 2018 and the ESMPE Satellite Meetings will be accredited by the European Board for Accreditation in Medical Physics (EBAMP) and will provide attendants with CPD points. You may also attend a premeeting organised in collaboration with EURAMET- the European Association of National Metrology Institutes. EURAMET coordinates the cooperation of National Metrology Institutes (NMI) in fields such as research in metrology, traceability of measurements to the SI units, international recognition of national measurement standards and related Calibration and Measurement Capabilities (CMC). 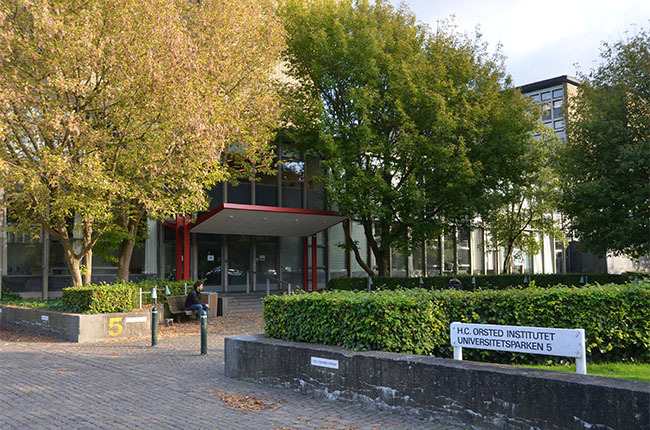 The Niels Bohr Institute is organizing a summer school on Imaging Modalities in Medical Physics in connection with the congress. Overall, there will be 9 Joint sessions in parallel sessions for each day of the congress. The topics selected will cover all the spectrum of medical physics activities. The venue of ECMP2018 will be the H.C. Ørsted Instituttet which is part of the greater Niels Bohr Institute of Copenhagen University in the beautiful city of Copenhagen.